Rust Bullet® is perfect for all home and farm projects. It is an ideal rust/corrosion control coating for everything from metal buildings and equipment, to small touch-ups around the home. Rust has been the cancer of iron and steel since the dawn of the Iron Age. For the farmer, rust is responsible for a great financial loss over time. Wet environments, corrosive chemicals and fertilizers, and non-neutral soils all conspire to destroy buildings and equipment. Zinc galvanize and ordinary paint can delay rust, but after a short time, they wear or flake away and the problem returns. Ordinary paints require rust to be sanded, sand blasted, acid etched, or otherwise mechanically removed before they can be applied. This process is very labor intensive and prone to error. 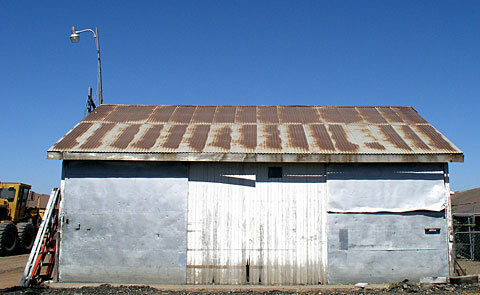 Rust Bullet® is the ideal coating for protecting your sheet metal buildings and roofs. 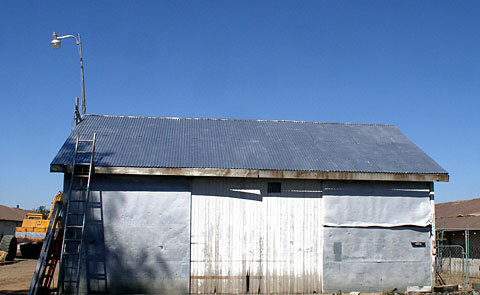 Shown here is a typical barn roof with about 80% or more of the zinc worn away. 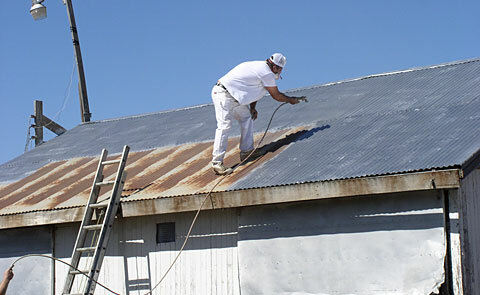 A professional painter is applying Rust Bullet® directly over the rusty sheet metal without any preparation. It sprays easily and quickly with an airless spray gun. Costly replacements can be avoided by simply applying 2 coats of Rust Bullet®. This entire project was coated in approximately 1 hour (not including drying time). 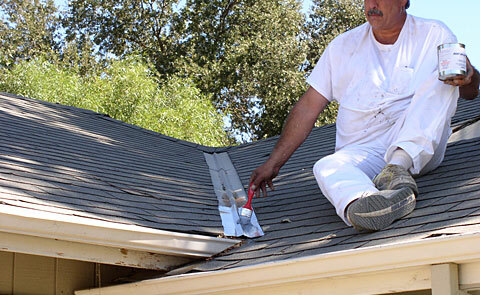 This photo shows how a rusty rain gutter is coated with a brush. The metal has not been pretreated in any way, except to sweep out some leaves. 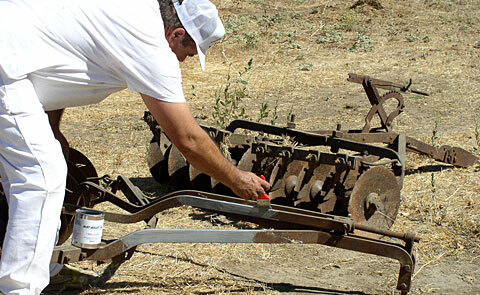 This photo shows a rusty disking plow being coated with a brush.